QUALIFIED TEAM—Cardinal Dolan speaks at the Oct. 6 news conference to introduce the voluntary Independent Reconciliation and Compensation Program for victim-survivors of sexual abuse as minors by clergy of the archdiocese. Joining the cardinal at the New York Catholic Center in Manhattan were, from left, Camille Biros and mediator Kenneth Feinberg, who will work together as the program's administrators, and former New York City Police Commissioner Raymond Kelly, Dr. Jeanette Cueva, M.D., and federal Judge Loretta Preska, who will each serve on the program's oversight committee. The Archdiocese of New York has initiated a voluntary Independent Reconciliation and Compensation Program (IRCP) to promote healing and serve as a “tangible sign of the Church’s outreach and reparation” by providing compensation to victim-survivors of sexual abuse as minors by clergy of the archdiocese. The program was announced at a morning news conference on Oct. 6 featuring Cardinal Dolan and other speakers who will administer the program, headed by nationally recognized mediator Kenneth Feinberg, and an oversight committee, whose members include former New York City Police Commissioner Raymond Kelly. “It is unique in that we’re asking an outside, independent, acclaimed source to do it,” the cardinal said in response to a question about other dioceses that have instituted similar methods to compensate victims of abuse. Cardinal Dolan explained that the Diocese of Albany had initiated a voluntary compensation program a decade ago, and that the Archdiocese of Milwaukee had also done so when he served as archbishop there before his appointment as Archbishop of New York in 2009. The cardinal, in his remarks, noted the comprehensive and effective steps taken by the Church in the United States and local dioceses across the country in response to the scourge of clergy sexual abuse of minors addressed in the 2002 U.S. Bishops’ Charter for the Protection of Children and Young People. Even with the progress to date, Cardinal Dolan acknowledged “the deep scars” and the need for “further healing and reconciliation” by “one group of members of the Church’s family”—the victim-survivors of clergy sexual abuse. “The survivors tell us that while it’s not all about money, a tangible sign of the Church’s outreach and reparation would be helpful,” the cardinal said. The IRCP has already begun to reach out to victims who have previously notified the archdiocese that they had suffered abuse by a priest or deacon of the archdiocese to invite them to participate in the program’s Phase I, which is scheduled to continue until Jan. 31, 2017. 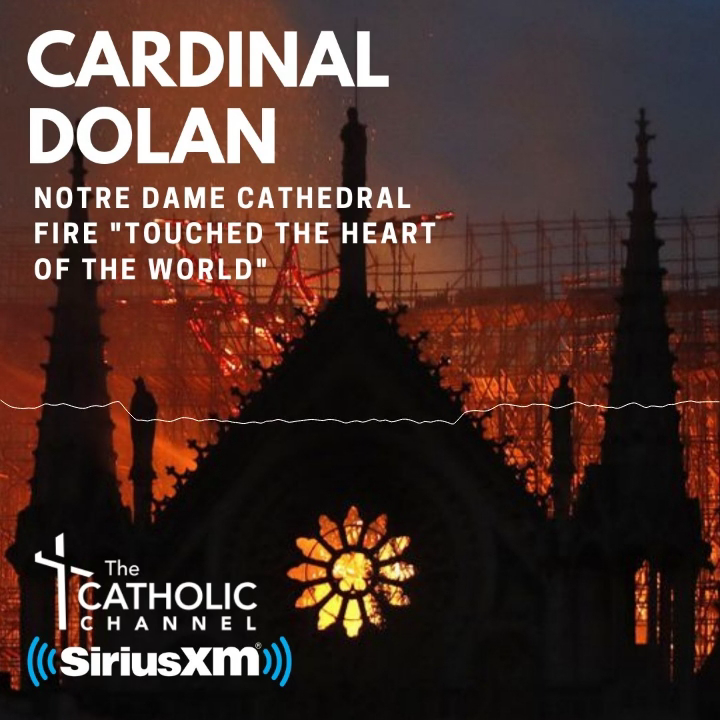 Cardinal Dolan, in his remarks at the New York Catholic Center in Manhattan, said that nearly 200 individuals have previously come forward with allegations of abuse by a member of the archdiocesan clergy. Allegations have been made against approximately 40 priests and deacons over the years, said the cardinal, who noted that no allegations of recent occurrences of abuse have been made in the past 15 years. Approximately 30 victim-survivors have previously received compensation from the archdiocese, the cardinal said. The archdiocese will take a long-term loan to cover the cost of compensation to victim-survivors. The archdiocesan Office of Communications, in a news release, said that the archdiocese would not use money given by the people of the archdiocese to support parishes, schools and charitable works, nor would it use funds from the annual Cardinal’s Stewardship Appeal, the newly initiated Renew and Rebuild capital campaign or money given by donors for a specific ministry or apostolate. The program will be administered by Feinberg, who is well known for his work as special master of the Federal September 11th Victim Compensation Fund and numerous other high-profile compensation funds. He will work closely with his associate, Camille Biros. Along with Kelly, the other members of the Independent Oversight Committee are U.S. District Judge Loretta Preska and Dr. Jeanette Cueva, M.D., associate clinical professor of psychiatry at Columbia University. At the news conference, Feinberg thanked the cardinal and the archdiocese for “the confidence” they have placed in him. He expressed appreciation to the archdiocese’s general counsel, James McCabe, for his work on “draft after draft” of the Protocol for Compensation of Certain Individual Claims of Clergy Sexual Abuse of Minors Previously Submitted to the Archdiocese of New York. Feinberg also said that the archdiocese has pledged to honor all individual and aggregate claims approved by the administrator. “There is authority to move forward,” he said. Phase II of the IRCP, due to begin on Feb. 1, 2017, will review additional allegations brought against known offenders as well as any new allegations brought against clergy who have not previously had allegations of abuse made against them. Anyone bringing forward a new allegation will be required to follow the policy of the archdiocese to notify the appropriate district attorney’s office, so they can determine whether a crime has been committed. The archdiocesan lay review board will also examine such allegations. He also complimented the archdiocese for putting in place “a highly regarded system for reporting to prevent anyone else from suffering the scourge, the horror of abuse,” and is very happy about the “strong partnership” that exists between the archdiocese and law enforcement, especially with the district attorneys in the 10 counties served by the archdiocese. The members of the oversight committee will meet regularly with Feinberg and Ms. Biros to make sure the goals of the program are being met in a timely way, Kelly said. Information about the Independent Reconciliation and Compensation Program: www.NYArchdiocese-IRCPSettlementProgram.com.